This is my third year of growing a backyard garden and I have had a lot of success ( and some failures) over that time. I’ve learned what works and what doesn’t. I’ve gotten pretty good at knowing what will grow in my specific climate and what type of care my plants need. 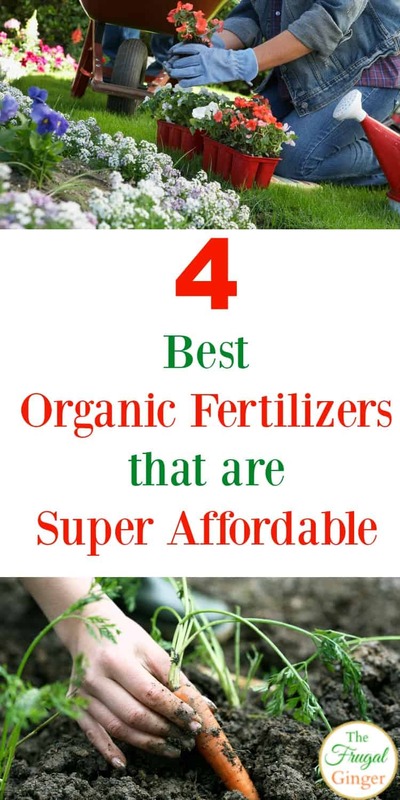 Since I try to grow all organic produce, I’ve done a lot of research on finding the best organic fertilizers for your garden. There are four main types that I think work the best. This is a great and free organic fertilizer that a lot of home gardeners use for both their flower and vegetable gardens. It is really easy to make. You just get a compost bin, of whatever size works for your needs, and put all of your organic kitchen and yard waste in it to decompose and turn into compost. You can add all kinds of things like coffee grounds, leaves, vegetable peelings, egg shells, and so much more. Make sure you do some research on what to use and what not to before you get started. This will give your garden a lot of nutrients and is a great option to add to your list of organic fertilizers! This is another free natural fertilizer that anyone can use. Just gather up all of the grass clippings from your yard and arrange them on top of the soil in your garden. The clippings will decompose and turn into mulch, providing a great natural source of nutrients and nitrogen to your garden. This is also a great method for keeping weeds out of your garden! This is the fertilizer that I personally use in my garden and I’ve seen great results. Fish Emulsion (Sea Kelp Emulsion works, too) is just ground up fish that is in a liquid form. You add a couple tablespoons to your watering can and feed it to the plants. The amount you use will vary so make sure you read the directions. I usually apply this to my garden about once every 2 weeks once they start producing fruit and need the extra nutrients. This natural fertilizer is not expensive and one bottle will last me the entire growing season. Earthworms are found in most gardens depending on how good your soil is. They help plants grow by digging in the soil and aerating it in the process. Their castings, or waste, is full of nitrogen, phosphorous, and magnesium which will help your plants grow. You can attract more earthworms to your garden by adding grass clippings on top of the soil or you can actually purchase earthworms if there aren’t very many in your garden to begin with. 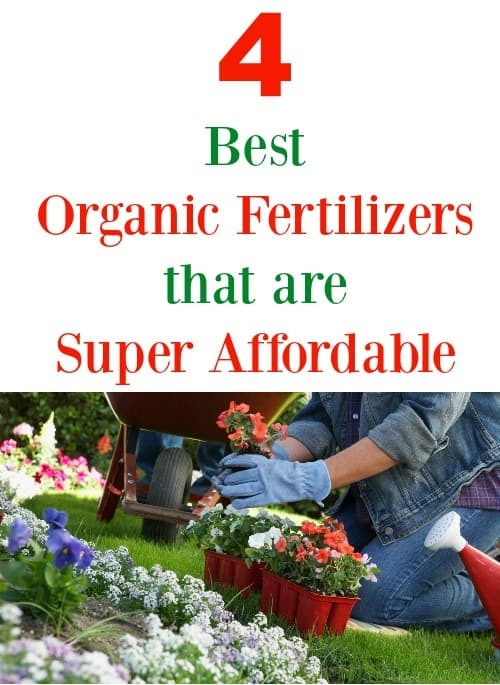 I think that these are the best organic fertilizers for your garden because they have been used for centuries by generations of farmers and gardeners in their flower and vegetable gardens. I think they allow my garden to produce a bigger and healthier harvest then if I used commercial fertilizers. The best part is that all of these options are free or really inexpensive. If you have any other recommendations feel free to leave them in the comments below. I would love to hear what you use in your garden.